The Minecraft Forum Server List is the place for Minecraft players to find the best Minecraft Servers, and the place for Minecraft Server operators to find the best players. There's a wealth of ways to find your new Minecraft home, search by Popularity, Country, Tags and more. Want mcMMO? We've got them! Creative, Pixelmon, Feed The Beast? Those too, and many more. Hover your mouse over "Other" at the top of the server list for a drop down full of filtering options. If you run a Minecraft server adding your server couldn't be easier! Click Add Server from the Server List homepage and follow the instructions. If you're looking for even more exposure for your server then check out the Featured Server Auction system for more information on how you can reach even more of our millions of Minecraft Players! 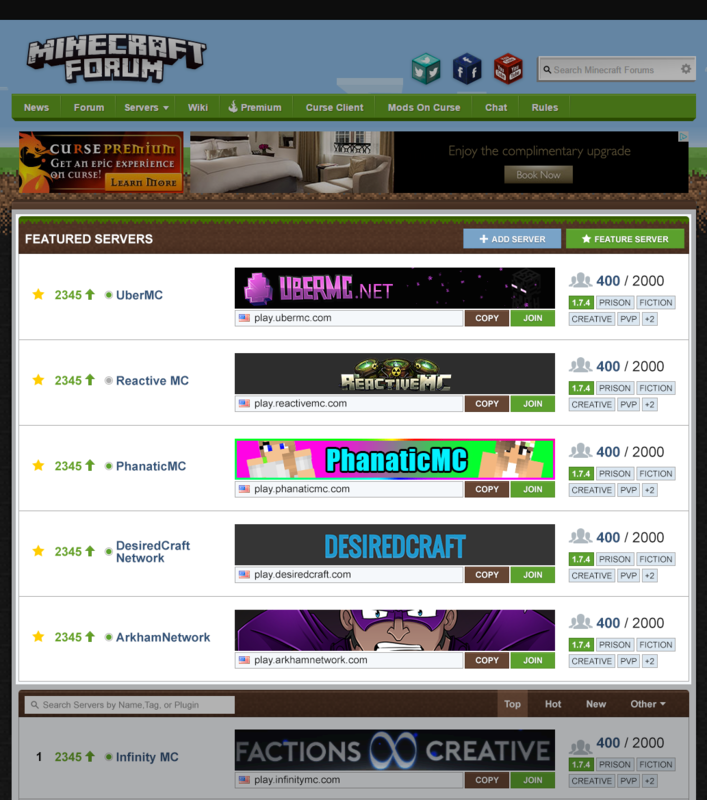 The Minecraft Forum Server List is the successor to the now defunct servers.minecraftforum.net website.